Hardwood floors can be a natural and beautiful addition to any home, creating an impressive first impression to all that enter the room. At Alexander's Wood Floors, we have a huge selection of woods to choose from to fit any preference, style, and budget. Let us know your wood flooring needs and we'll provide a FREE estimate customized just for you. We'll also bring an assortment of flooring samples right to your home for your consideration! 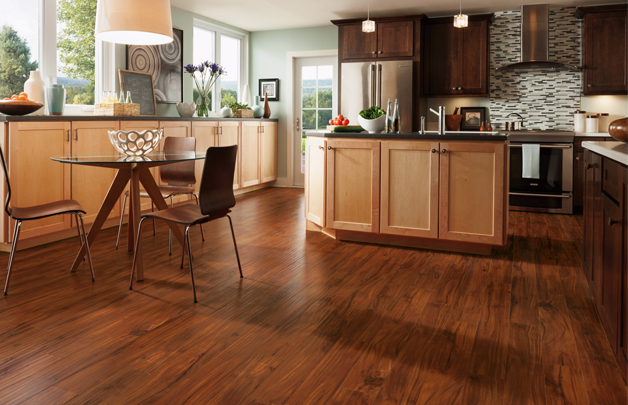 Hardwood floors are a long-lasting product known for both their natural beauty and also their durability. In addition, wood is affordable, easy to clean and maintain, good for the environment, and also healthier than carpeting. Also remember, the professionals at Alexander's Wood Flooring have a passion for all aspects of installing wood flooring. We'll be sure to provide you with an education in wood flooring, so that you can understand the different types of woods and decide which is best for your specific space ad budget. 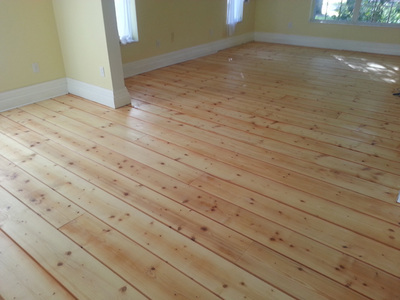 Ask about waterproof wood flooring and waterproof laminate flooring. 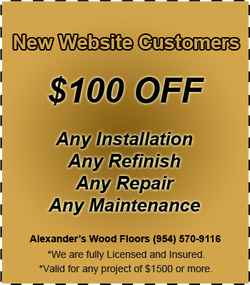 Alexander's Wood Floors installs wood flooring throughout Broward and Palm Beach counties, including Coral Springs, Parkland, Coconut Creek, Deerfield Beach, Boca Raton, Delray Beach, Weston, Davie and all surrounding areas. 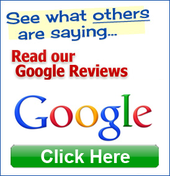 Contact us to schedule a FREE in-home estimate for wood floor installation today!